Resolute completely shutdown the Fort Francis mill in January of 2014 and announced its permanent closure in May that same year. The mill, located in Fort Francis, Ontario, Canada, produced commercial printing papers. 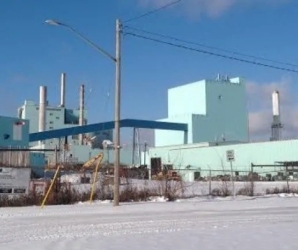 March 20, 2019 (CBC News) - Resolute Forest Products has rejected a bid from a private investment group interested in purchasing the shuttered paper mill in Fort Frances, Ont., and says it will turn its attention to redeveloping the site. Repap Resources Group said on Friday that it had submitted a "multi-million dollar" offer to purchase the mill and its assets. Resolute closed the plant in 2014; the company said Repap's offer "fell short on multiple fronts." Resolute had already signed an agreement with a company that specializes in redeveloping industrial sites in January, according to the letter to the town from Resolute president and chief executive officer Yves Laflamme, but entertained interest from other parties, including Repap. Laflamme's letter said that Repap was the only party to actually submit a bid. "In spite of our best efforts, Repap did not produce an offer providing us the level of certainty required to move forward with them," Laflamme wrote. "They failed to provide the required financial deposit, did not mark up the asset purchase agreement, did not address our key requirement to perform environmental remediation and did not produce sufficient, committed financing to move forward." The full story is available on CBC's website: Resolute Rejects Repap Resources' Bid for Fort Frances Mill.